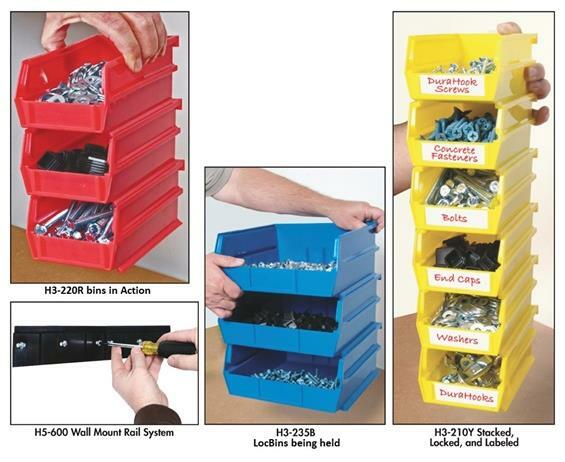 Unique dual interlocking channel system slides and locks bins together guaranteeing bins will not collapse, cave in or topple into one another. Mount to wall using the 5-600 wall mount rail system, on louvered panels or stack on a flat surface to provide multiple storage options for small items. Bottom interlocking rail allows bins to be nested offering the user a smaller footprint in tight spaces. Extra deep groove system accepts bin dividers (sold separately) that stay in place when removing and replacing items in the bin. Dividers are Black in color. 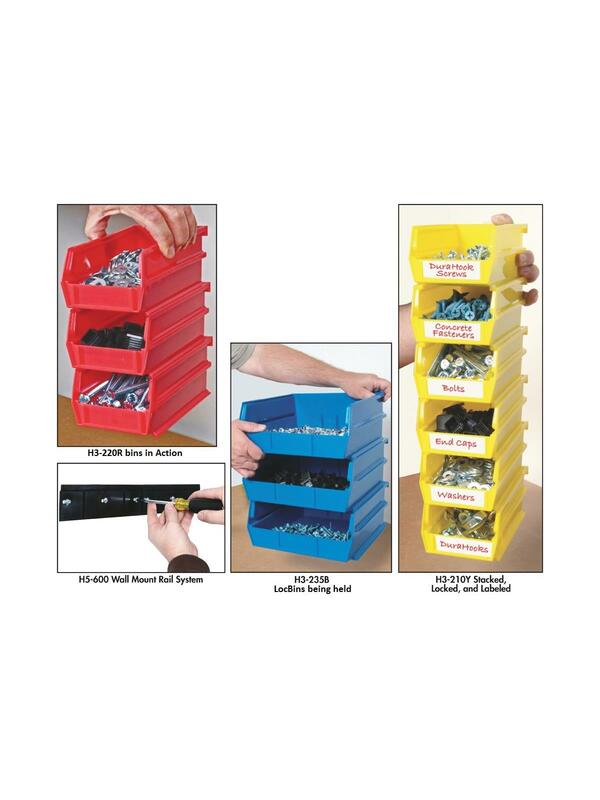 Anti-slide feature in the channels ensures that stacked or hanging interlocked bins will not slide out from the front preventing spillage of parts. Manufactured from commercial grade high density polypropylene with front label area, labels included. Available in Yellow, Red and Blue. Sold in case quantities. FOB Shipping Point. 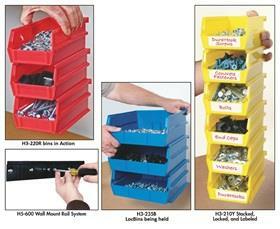 See Related Items tab for LocBin™ Wall Mount Rail. 14-3/4 x 7 x 8-1/4"